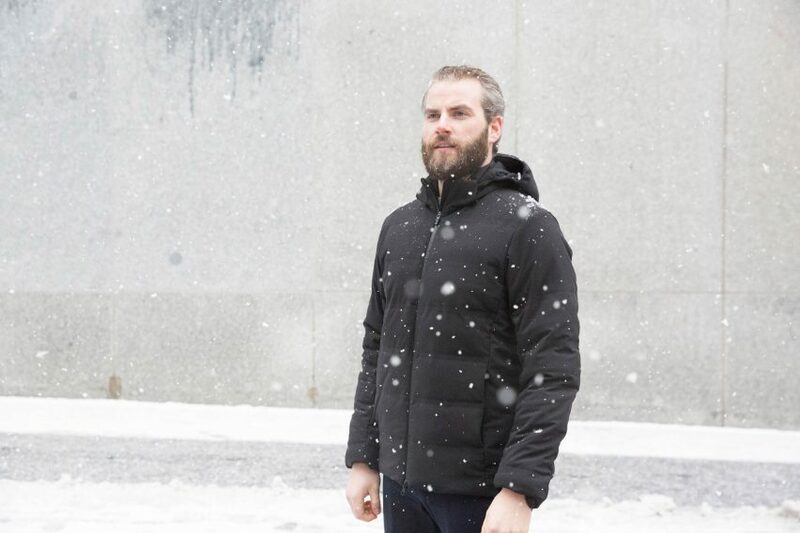 Boston-based start-up company Ministry of Supply has designed a self-heating smart jacket that is able to respond to changes in temperature and create an individual “microclimate” for its wearer. The Mercury jacket is the first electronic garment created by Ministry of Supply, a clothing company founded by three MIT students. Aiming to solve the challenge of dressing for transitional environments, the tech-powered jacket uses three carbon fibre heating pads to automatically warm the garment through a process called resistive heating. 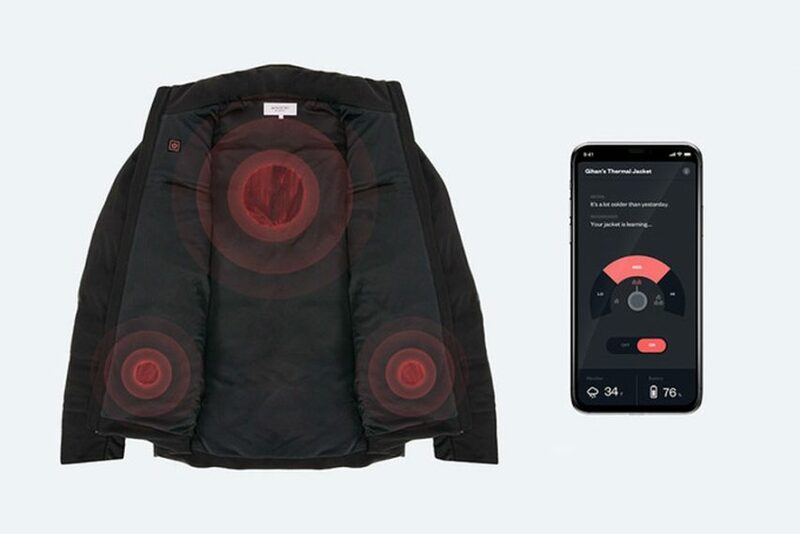 The jacket has an internal thermometer, an external thermometer, and an accelerometer that measure temperature and movement – a micro-controller processes the temperature and motion signals, and uses this to decide how much power to send to the heating pads. Unlike other heatable jackets, which often have to be preprogrammed to a certain temperature, Mercury is able to constantly adapt and optimise its heat output to suit the wearer’s body temperature – creating what the company describes as an individual “microclimate”. It also has voice-control capabilities, utilising Amazon’s smart assistant Alexa to allow users to preheat the jacket before putting it on. Wearers can also input their preferences into a corresponding app. The jacket then uses artificial intelligence to learn and predict them over time. “Say someone puts on the jacket before their morning commute; the jacket’s heating system turns on once they walk outdoors. When walking to their train stop – elevating body temperature – the jacket combines both the outdoor and internal temperatures to regulate heat distribution,” explained the designers. According to the company, Mercury is the first jacket that uses data to actually change and improve its function. “Many devices report data like heart rate or number of steps, but that data doesn’t change the experience with the device. 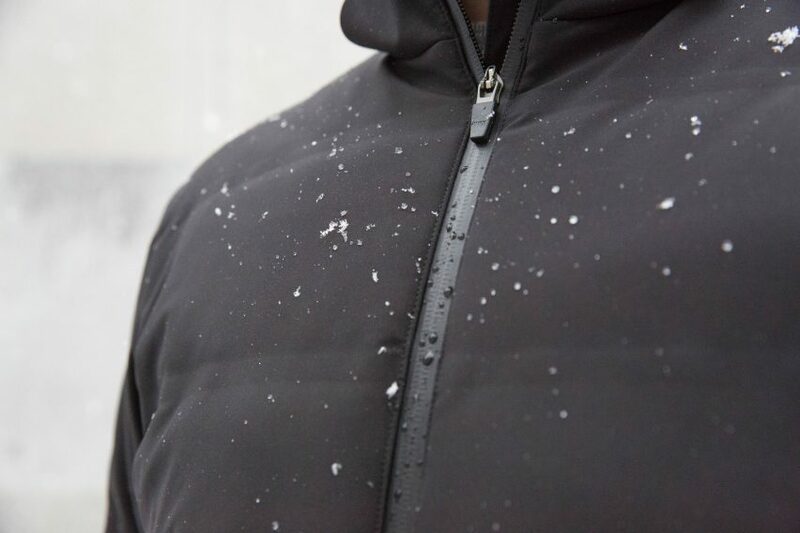 This garment will take usage data and make the experience of wearing an intelligent heated jacket better over time,” said the company. Taking around 90 seconds to warm up, the jacket can reach temperatures of up to 57 degrees celsius – the same temperature as a cup of coffee – and is able to run at full heat for four and a half hours. 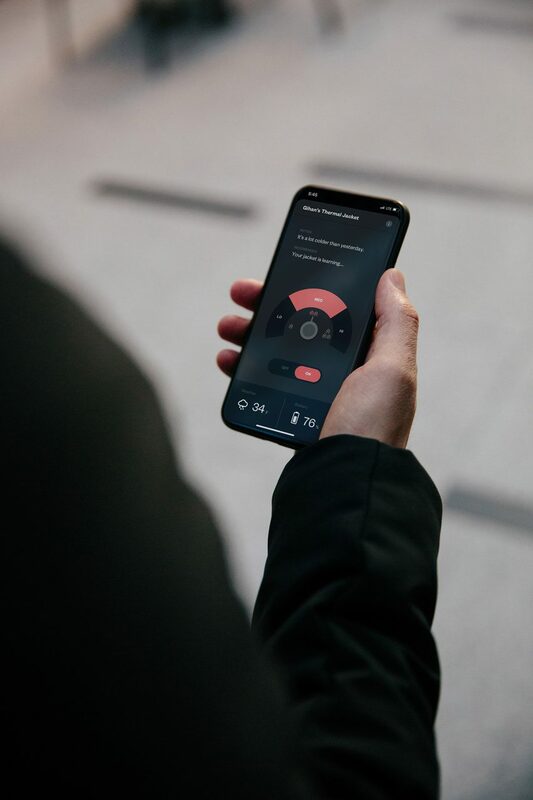 Extra warmth is provided through two zipped hand-warming pockets, where an integrated wireless charging phone sleeve also allows users to charge their devices on the go. 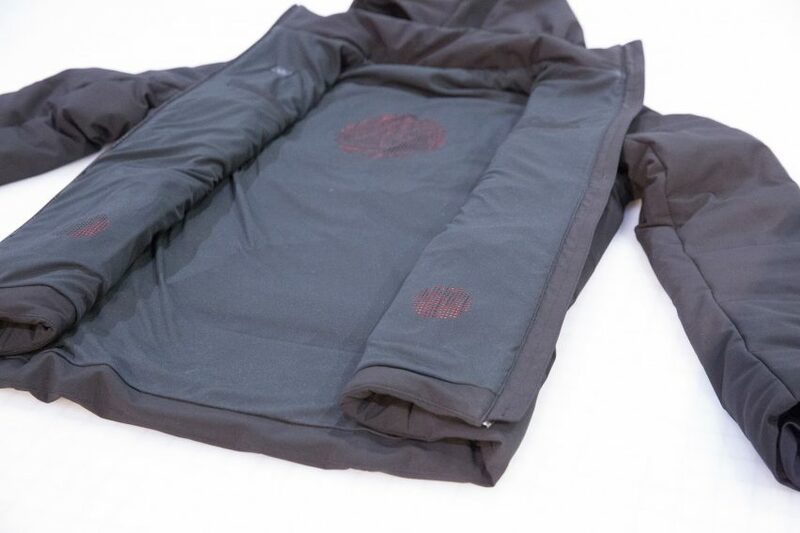 The jacket’s shell is made from waterproof fabric, and has a detachable hood. It is also available in a gilet version. Founded by three MIT students, Boston-based Ministry of Supply launched itself via Kickstarter five years ago. The company plans on shipping the jacket and by Autumn this year. Designers are increasingly marrying technology and fashion in the hopes of making garments more functional. In recent years, the area has been largely pioneered by Arnhem-based designer Pauline Van Dongen, who started exploring the possibilities of incorporating solar panels into clothes in 2013 with a fashion collection that used panels concealed under flaps to turn the wearer into a walking phone charger. Since then she has created a knitted cardigan that senses how well its wearer is moving, and a smart top that vibrates in response to bad posture. 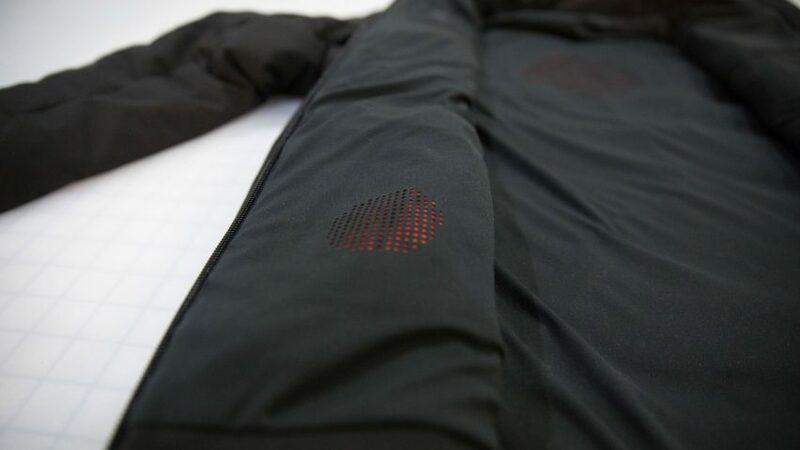 Be the first to comment on "Self-heating smart jacket responds to changes in temperature"